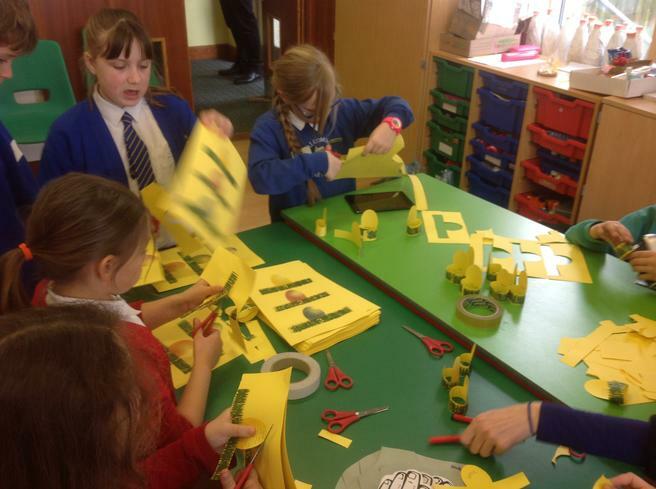 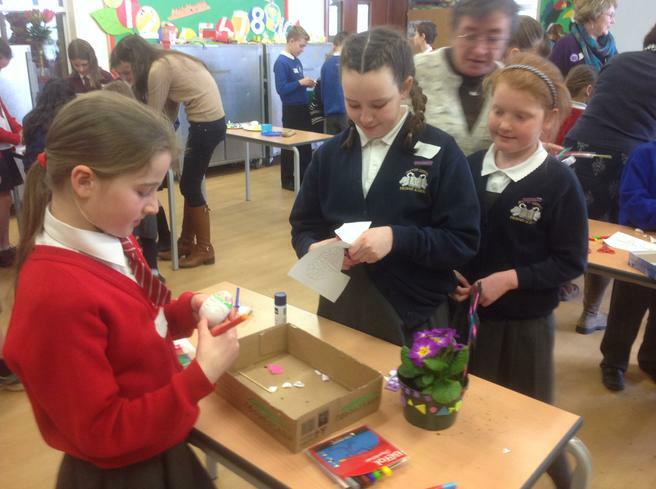 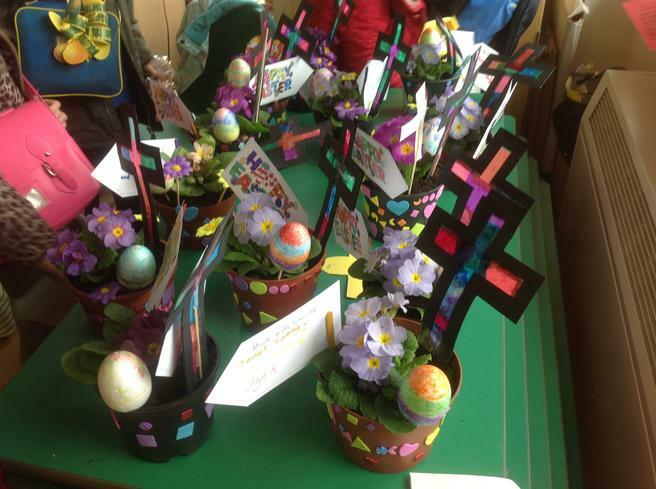 An Easter themed Ethos Day took place on Friday 11th March and was organised and hosted by Blackpool CE Primary School. 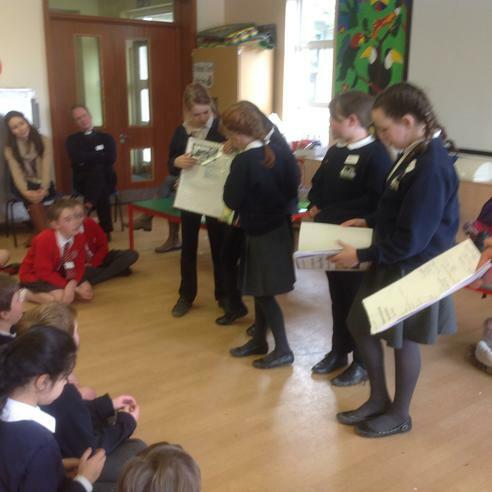 As well as children from eight of the First Federation Trust schools taking part, we were also joined by children and staff from Chudleigh CE Primary School and Ilsington CE Primary School. 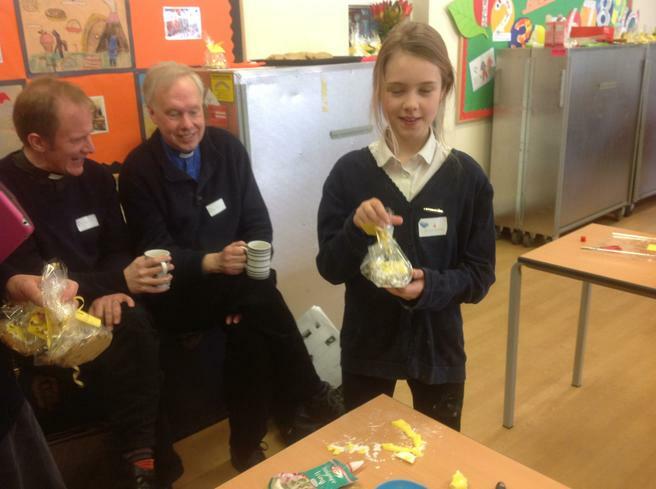 The day was led by Reverend Paul Wimsett and the teaching staff, clergy and volunteers from across the ten schools, many of whom have been involved in providing these special days for the Federation schools for almost five years. 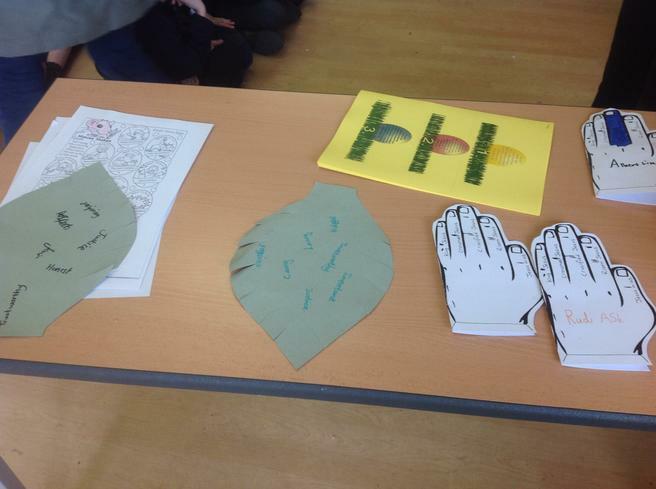 The children were able to take part in an interesting range of activities and Collective Worship which helped them to understand the Easter Story. 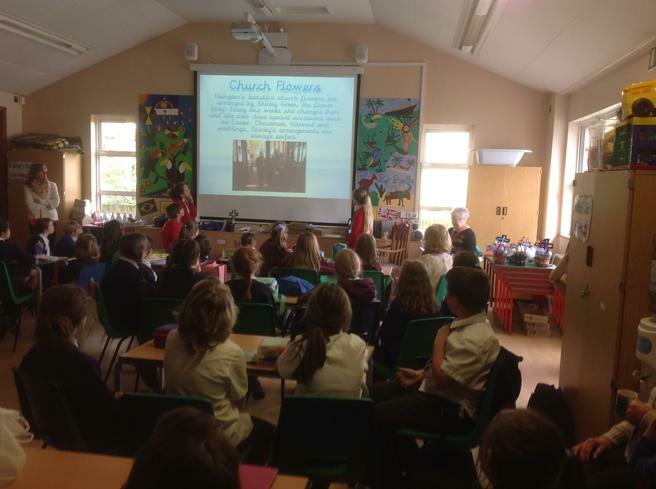 The day was designed to support the children in their roles of leading Collective Worship when they returned to their own schools. 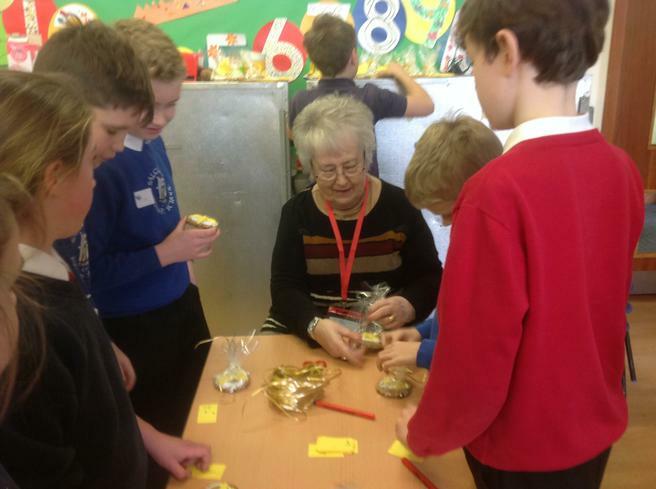 Mrs McCarthy-Patmore attended the day in her role of Ethos Co-ordinator for the First Federation. 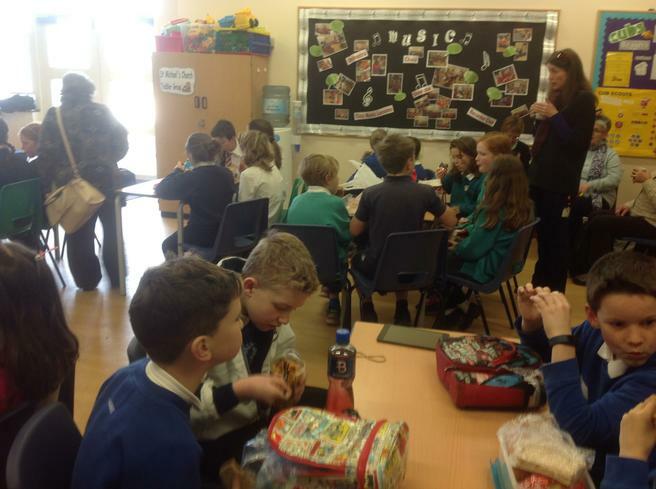 She was delighted to be presented with flowers and a card from everyone at the end of the day as she will be leaving her role and moving on to a new position at the end of this term. 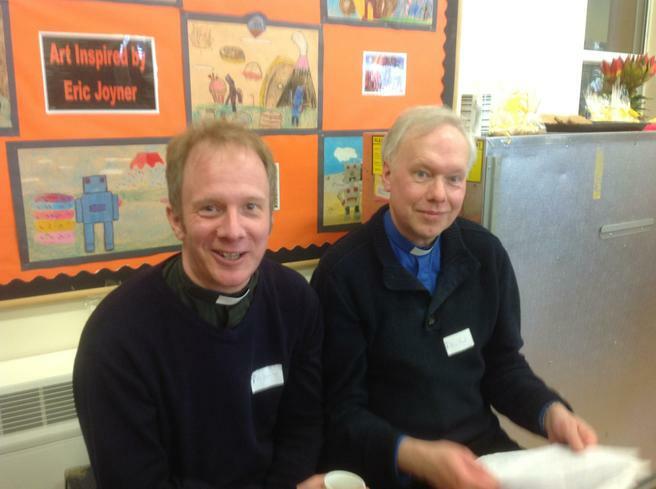 The next Children's Ethos Day will be hosted by Father Daniel French at the Holy Trinity Church in Salcombe in June.